The spokesperson is Sammi Cheng, Famous Artist from Hong Kong. The information booklet for this product. $500 HKD ($65CAD) for a case of 10 Bottles. I noticed that it's available in Hong Kong and Japan retailers only. Not entirely sure if this is available in Taiwan. I know for a fact that it's not available in Canada. I asked so many times and none of the sales reps even had a clue what I was talking about. I only got one box just to see how it goes for me. My sister is loyal to this particular collagen drink so I wanted to try as well. My sister's comment is "better than nothing". 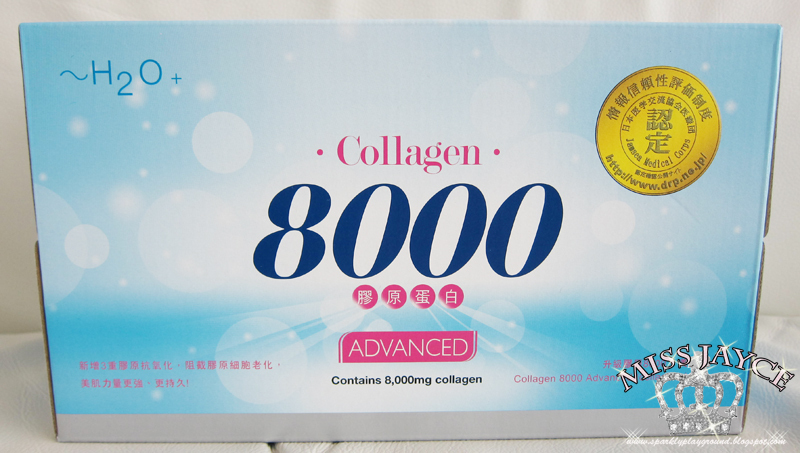 The sales lady already told me that one box can barely show any significant effects but really, I always see collagen drinks as a "back up plan". That's because, everyday we're losing collagen in our bodies. 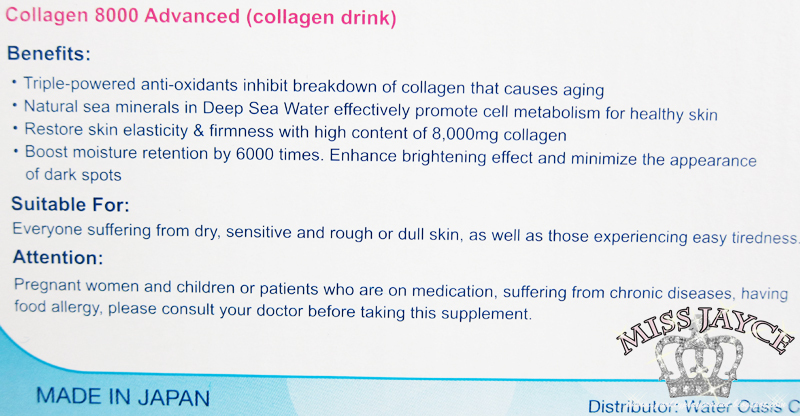 I don't think that the drinks can replace 100% of all the collagen that has been lost. It's just better than not having any supplement at all. The collagen tastes like artificial peach juice. I strongly recommend drinking after being refrigerated solely for the purpose of a better taste. I drink this on an empty stomach every morning or before I sleep to get the most out of it. I noticed that my skin looks more radiant, not dull and my fine lines were diminishing. I guess I can see the effect more simply because I'm starting with skin that's not THAT bad. My major concern was that I'm slowly showing signs of aging and dullness. I only realized my skin aging because I went for a skin analysis where staff scanned my skin with a light that zoomed 30x. I got to see the details of my skin's textures, shapes of wrinkles/texture, pigmentation and pores. Basically, I wouldn't say my skin is THAT THAT old, but if you can see signs of aging with your naked eyes and you're super conscious like me, do something quick. 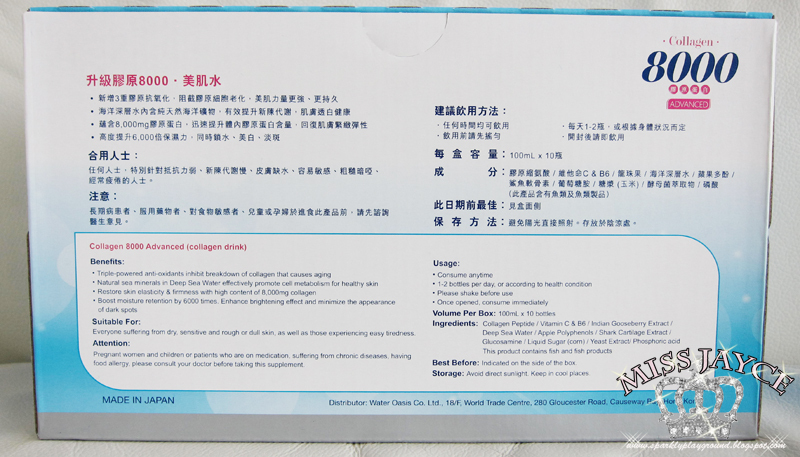 Anyways, I think the collagen drinks are probably most suitable for people aged 20-35. This is because most people's skin begin aging at around 25 (some earlier) and by the time you're reaching mid 30s, I don't think collagen drinks can do enough. I find that it did do some help to my skin but to drink a bottle everyday, the money certainly adds up. However, around $4-5 CAD each day, it's really not too bad. I know some girls goes out for dinners or clubs where they pay $7-20 CAD for cocktails and drinks. So in comparison, $4-5CAD for something that is doing good to your skin makes it totally worth it. 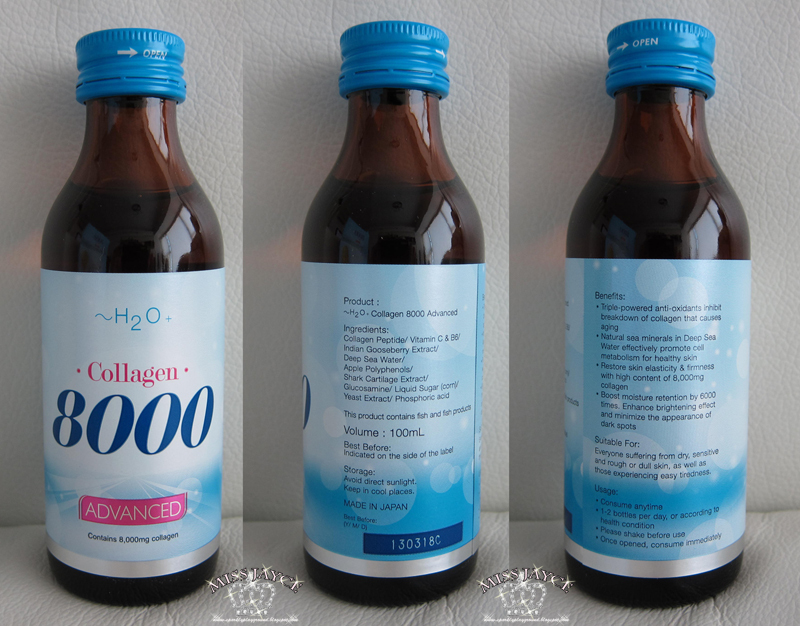 I have been observing many beauty drinks, H2O makes on of the highest amount of collagen on the market. I've seen 10000mg as well but I can't even recall the brand name. 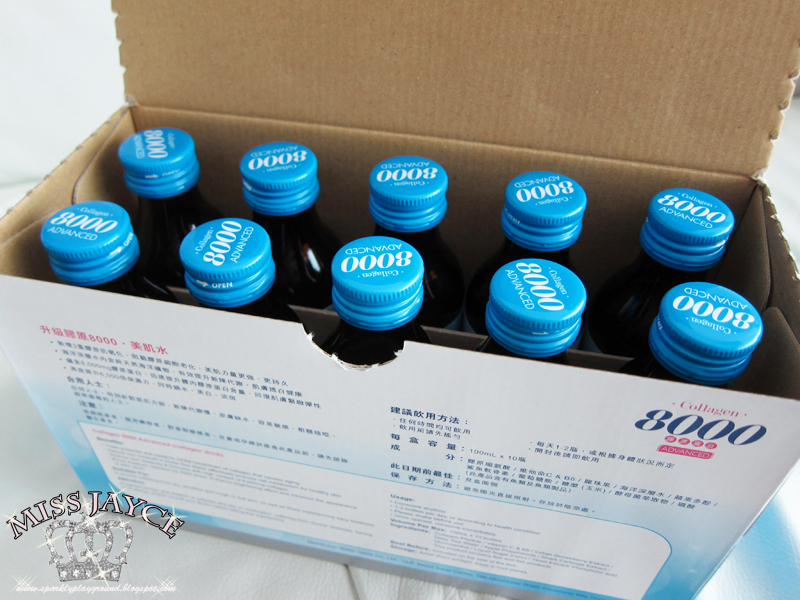 Price: 4/5 ♥ It's not the most expensive supplement but it's definitely not the most affordable. It really depends on how you spend the money :) By the way, sometimes there are promotions so it's worth a try!